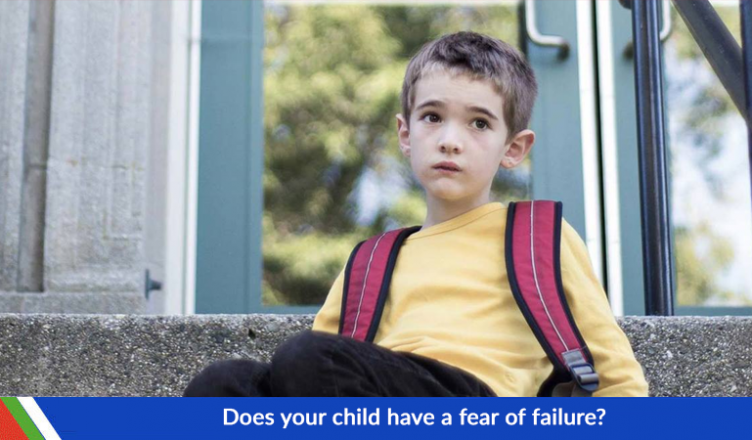 XNSPY Official Blog > parental > Does your child have a fear of failure? “I’m not good enough for this,” said my five-year-old Emma while looking at her word puzzle. Her words kept running through my mind and I kept wondering if she even gave it a try. I had to ask myself: Even if she actually tried the puzzle, and let’s say she experienced difficulty finishing it, then why wouldn’t she come to me for help? Is it something more than just the nervousness of reaching out for help? Does she find challenging tasks daunting? Does she feel frustrated provoking a thought process? I needed answers, so I began with meeting her teacher to inquire about her class performance. She gave me average remarks about her grades and told that Emma is reluctant and doesn’t participate keenly in any extracurricular activities. Emma’s teacher also went on to say that she doesn’t perform well in surprise tests and quizzes. She spends a lot of time preparing for tests and exams then why her scores are not good? Why she doesn’t take part in games and activities enthusiastically? Having all these questions in my mind, I started observing her activities closely. I noticed that she wasn’t keen to try new things and I couldn’t figure out the reason. She expressed anger whenever she was unable to solve a question. I bought gaming books for her and asked her to play with me. She showed aggressive behavior whenever she was losing and simply refused to play it again. I monitored her tablet using a parental monitoring app. I was surprised to observe that she used to play only three games on her tablet, Subway surfers, Diner Dash, and Fruit Ninja. I remotely accessed her phone and installed the two most popular games in her tablet. I was surprised to notice that she didn’t play those games for once. I asked her to try a new game but she said, “I can’t do this.” She opened those games a few times, but never gave a try. Should I be worried? I asked her to try new games and activities back and forth, most of the times her response was, “I’m not good at this.” After monitoring her activities for weeks, I realized that she is afraid to face failure. I noticed that fear of failure is a significant factor that holds her back. For my daughter and countless other youngsters, the fear of the failure can be agonizing and crippling. But there must be a solution to this problem. Right? Determined and firmed to find a better solution, I started detailed research to find out methods to support children cope with the fear of failure. I outlined the reasons behind the fear of the failure in the children. I am trying below-mentioned strategy with my daughter, and I suggest you try it with your children, too! If you want to help your children cope with the fear of failure, continue reading! As a parent, you must be familiar with these phrases. Well, a baby wasn’t familiar with these words who was hearing them and thinking why her mother is screaming at him. If you are raising your child in an environment where you yell at him each time he is trying to do something new, he may end up fearing to try new stuff as a grown up. If you shout at him whenever he does something wrong, he may start to think that it is shameful to make a mistake and as a result, he may end up with a fear to face the failure. Children learn the fear of failure from their parents. They are never born with it. They learn it from their surroundings. Just visualize a picture of a baby in your mind, falling tens of times, trying to stand up each time without feeling bad at all. Parents’ attitude teaches them how to be afraid of failure. If you kept shouting at your child each time he was about to do something wrong or if you kept scaring him each time he was about to hurt himself then he will become an insecure adult. He would fear to make mistakes leading to a fear of failure. Children are born with courage, passion, confidence and positive attitude. We, as parents, teach them about fear and transform their personality. Are parents making things worse? The issue is, in our efforts towards protecting our children from failure, we also take away many learning opportunities from them. Many parents compound their own love and care with the fear of failure. Children get negative vibes from the parents’ behavior and interpret them in the worst possible way. Children take failure as a threat to their personal and social status. For children, it matters how we say things and what we say. Parents usually scold them for childish behavior, or getting average marks, or not performing well in the competition. Our negative reinforcement accelerates feelings of embarrassment in them. We, as parents, forget that our words and actions play vital role in the up raising of our children. Children don’t participate in the activity they fear failure. They take disengagement from the activity as a safety tool. In order to avoid failure, mostly injury, ailment, lost materials, damaged equipment, lack of interest, or simple denial to participate are the ways to avoid failure. They are safe from failure as long as they don’t participate. Children justify themselves to avoid failure. If they fail in an activity, they try to protect themselves and avoid failure by having a lame excuse. Sometimes, children blame their equipment for their failure or they blame the judges for being biased. “I would have won this prize, but I wasn’t in a mood today.” or “I would have done this task, but my mother wasn’t feeling better to assist me.” They blame others for their failure. Children prefer to stay in their “Safety Zone,” a midpoint between failure and real success. In their safety zone, there is no threat of failure. They don’t take the risk or intensify their efforts to achieve success. They set their success limits as low as they suit them. For example, if they are getting 65% scores, they are happy with it and call it their success as they are unwilling to face failure. Why we need to let children face failure? Failure is an essential part of life as it motivates a person to overcome the hurdles that cause the failure. Children learn basic skills such as commitment, determination, and decision-making by facing failure. It helps in developing a positive attitude in children to overcome frustration and disappointment. Children learn from us, so we have to change our attitude towards our own mistakes and failures. For instance, whenever I make a mistake, I try to respond with humor and talk to my daughter about it. I tell her what I learned from my failure. As a parent, we need to act calm and relax whenever our child struggles. We must show an optimistic attitude to their failures. For more detailed information, read the article, Parent’s Guide to a Growth Mindset. Tell your children that performance is not about ability rather it depends on effort, practice, and determination. It doesn’t mean that you force your child to try harder to avoid failure. You can suggest them various strategies that can help them next time. “It’s alright if cricket isn’t your best game.” by saying this I encourage my daughter to try other games to overcome her fear of failure. According to a study by Matt Covington, there is a direct positive relationship between the fear of failure and self-worth. Children usually link their self-worth to their parents’ remarks about them. Children might think that they will lose the affection and love of their parents if their curricular or extra-curricular performance is not good enough. They might tie their perfect behavior with parents’ appreciation. Naturally, these beliefs lead to a fear of failure. You have to show your child that even if he fails, you will love him unconditionally. If your child is afraid of failure, you can practice this Worst-case scenario exercise, introduced by Tim Ferris with him. You could ask him about his action plan in the worst scenarios and give him your suggestions, too. You don’t have to shield your children from problems. Let them face failure and then help them concentrate on the solution. Discuss with them their actions, the results of their actions, and how to avoid those results in the future. In this way, children will learn to face failure without frustration and disappointment. Using the iceberg analogy, discuss success and the ultimate chain of efforts behind it. Talk about failure and its benefits. Explain to them how they can learn from their failures to achieve success. Final Word Shielding your child from failure isn’t going to work. Let them face it and let them receive the gifts the failure brings along. Allow them to explore, take risks, and pursue their dreams, as facing the failure will make them strong and determined. Why monitoring your kid’s phone, alone, is not the solution to the problem?